Topics: Photos, Specifications, Plans, Prices, Management, and Rental Program. 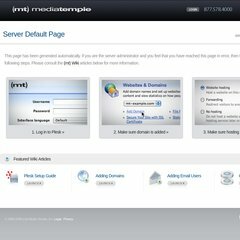 ns1.mediatemple.net, and ns2.mediatemple.net are its DNS Nameservers. Media Temple Inc. California is the location of the Apache server. The programming language environment is PleskLin. PING www. (72.10.55.141) 56(84) bytes of data.